In 1929, Louise Nevelson was a disappointed housewife with a young son, surrounded by New York’s vibrant artistic community but unable to fully engage with it. By 1950, she was an artist living on her own, financially dependent on her family, but she had received a glimmer of recognition from the establishment: inclusion in a group show at the Whitney Museum of American Art. In 1980, Nevelson celebrated her second Whitney retrospective. Her work was held in public collections around the world; her massive steel sculptures appeared in public spaces in seventeen states, including the Louise Nevelson Plaza in New York City’s Financial District. 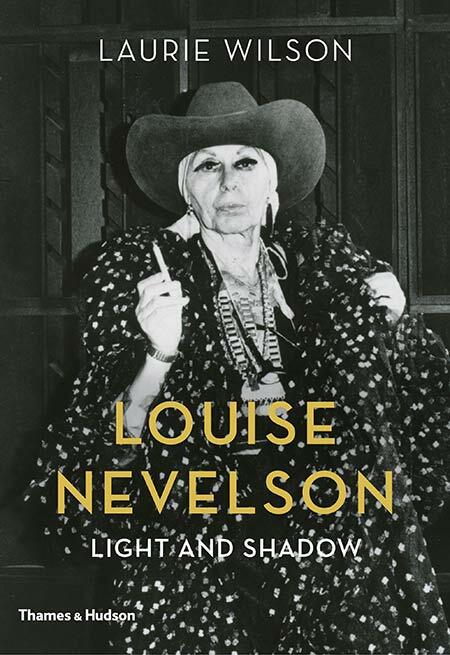 The story of Nevelson’s artistic, spiritual, even physical transformation (she developed a taste for outrageous outfits and false eyelashes made of mink) is dramatic, complex, and inseparable from major historical and cultural shifts of the twentieth century, particularly in the art world. Art historian and psychoanalyst Laurie Wilson brings a unique and sensitive perspective to Nevelson’s story, drawing on hours of interviews she conducted with Nevelson and her circle. Over 100 images, many of them drawn from personal archives and never before published, make this the most visually and narratively comprehensive biography of this remarkable artist yet published. Site background: Louise Nevelson, Nocturnal Symphony (detail), 1986. Wood painted black. 24 boxes, 80 x 78 x 7 in. © 2016 Estate of Louise Nevelson / Artists Rights Society (ARS), New York.